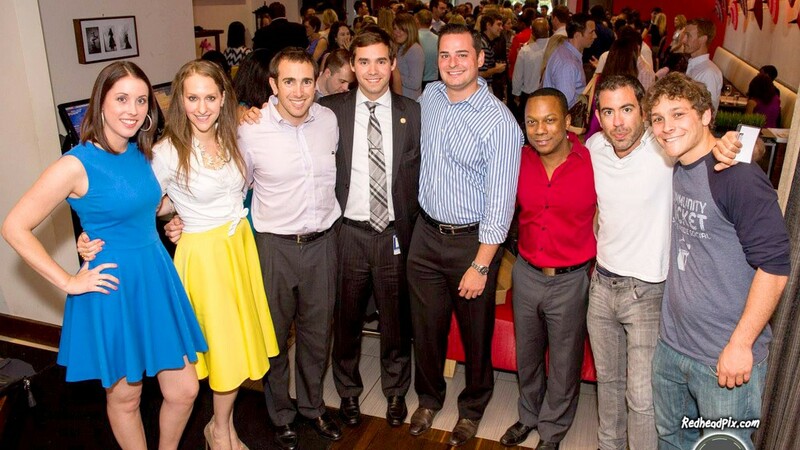 Brustein (in yellow) at her event held at Amura Buckhead Sushi & Steak last month. From fielding sales pitches to dodging pick-up lines, networking events can be a mixed bag. After watching her friends struggle to develop a post-college community in Atlanta, Darrah Brustein decided to host a networking event of her own for the under 40 crowd. Brustein, who heads up a credit card processing company with her twin brother, created a Meetup group to spread the word. "At the time, I wanted some sort of landing place for people to understand event details before I had a full-fledged website," said Brustein, who graduated from Emory University in 2006. When 94 people showed up for her first event, she knew she had hit a sweet spot. Meetup helped legitimize the first few events, but Brustein continued to grow her business off Meetup (the group no longer exists on the site) by launching NetworkUnder40.com. She hosts one event per month, which costs $10 to $20 and is capped at around 200 people. Brustein devotes 25% of her time to developing the business, and says her revenue has grown 900% in the past three years. She is in talks to expand to other cities in the southeast. Should you drain your 401(k) to start a business?